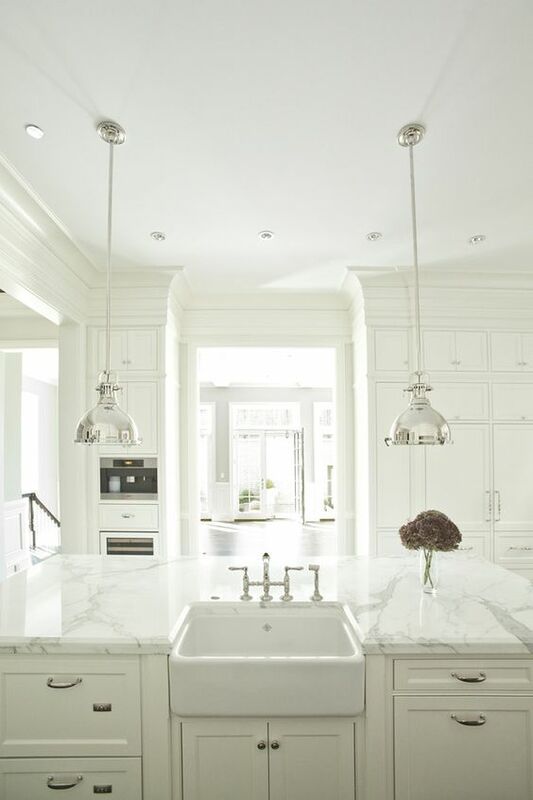 If you follow me on Pinterest, you know I’m a HUGE fan of white kitchens and bathrooms. Classic, sleek, and clean, you can’t go wrong with an all-white palate. 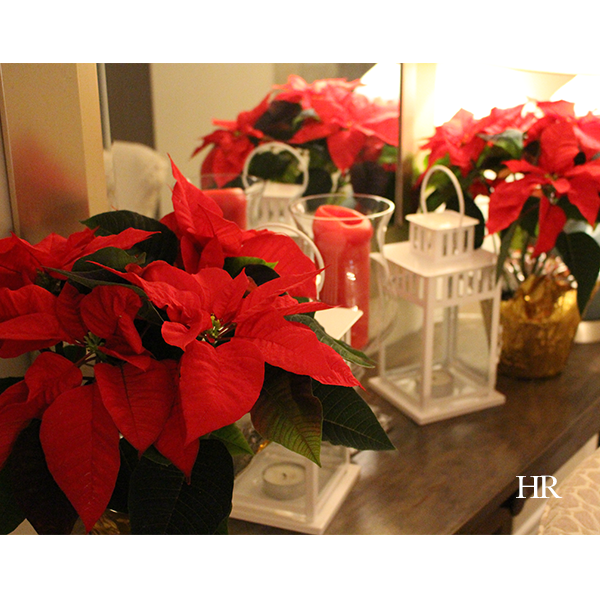 In our home, Wes and I keep things neutral and accent with pops of colour. Lately, I’ve really been drawn to the juxtaposition of white tiles with black grout. 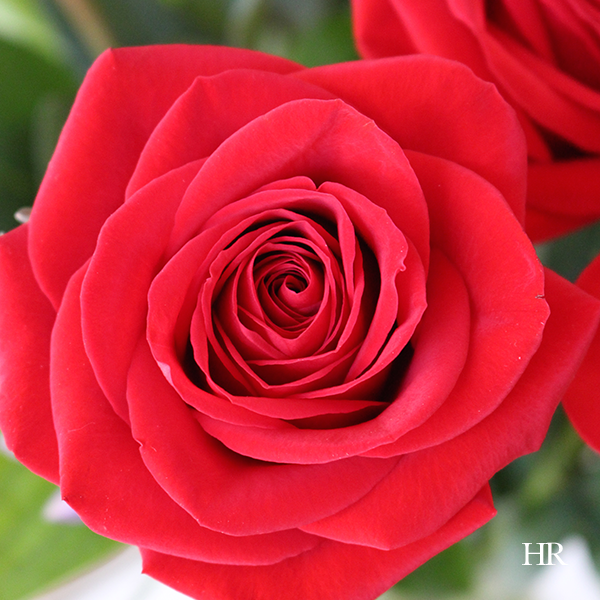 There is something so classic about the combination, whether used in a bathroom or kitchen. Today I’m sharing some of my favourite combinations of white tile with black grout. 1. Subway tile two ways. 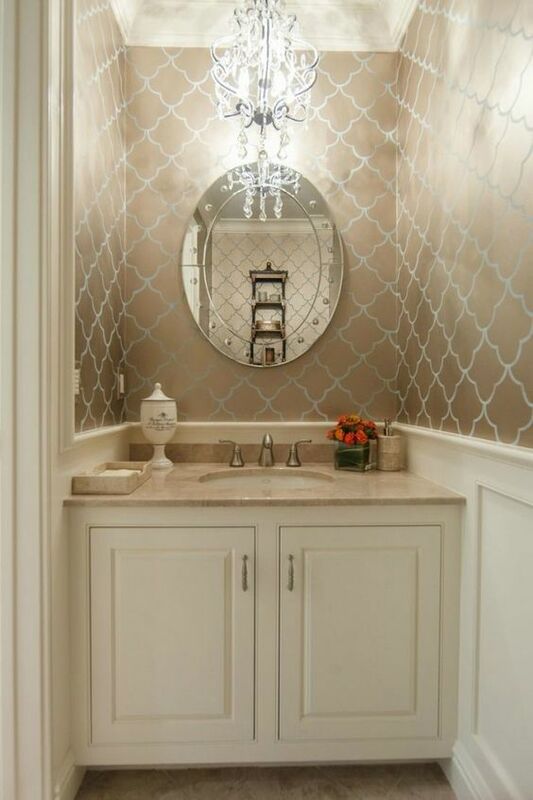 This gorgeous marble shower setting features some beautiful subway tile with a diagonal inset. What I love about this white tile with black grout is that it’s timeless. Bonus? The variation in the marble is highlighted by the dark grout. 2. White cabinets, black counter. 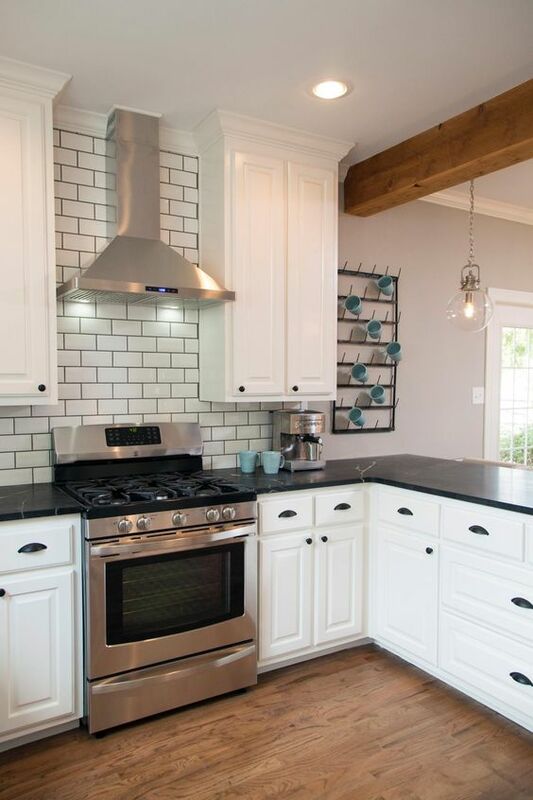 This farmhouse kitchen stands out because of the beautiful tile backsplash, with white tiles and black grout (the wooden beam doesn’t hurt, either). Classic white cabinetry and an anything-but-basic black quartz counter, this kitchen was featured on Chip and Joanna’s Fixer Upper. I love it! 4. All things herringbone. 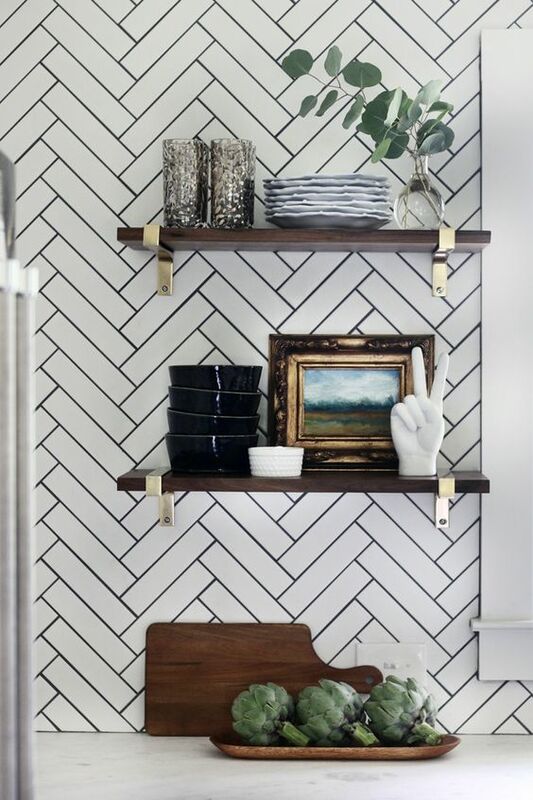 While it’s debatable whether a herringbone backsplash is classic or trendy, I’ve gotta say it looks gorgeous, especially when the pattern is accentuated with white tile and black grout. 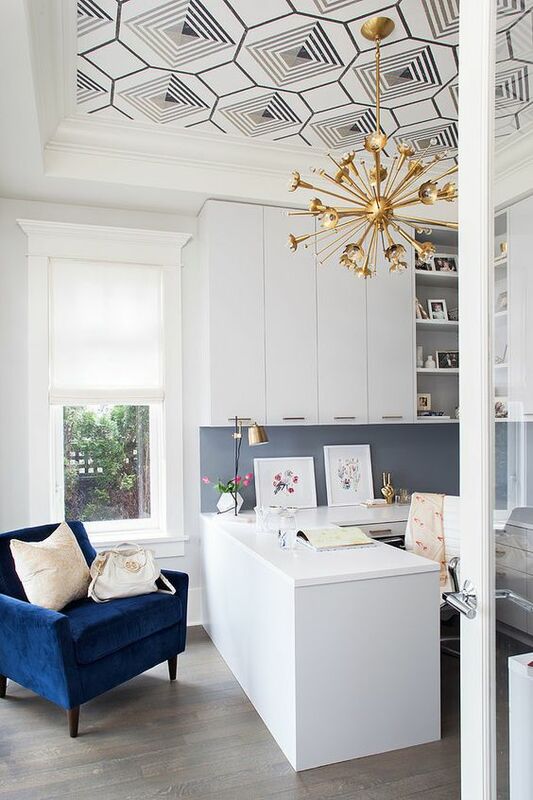 And while I’m not a huge fan of open shelving in a kitchen, the dark wood shelve with brass corbels are a nod to traditional that really work in this setting. 5. Black and white bathroom. 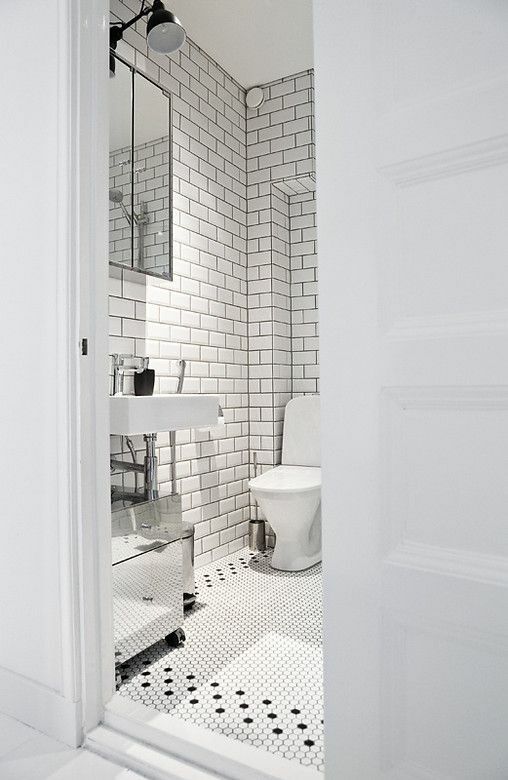 Scandi-inspired, I’m loving the stark white tiles and black grout featured in this bathroom. What’s most eye-catching is the pattern in which the penny tiles are set on the floor. 6. Hexagon tiles. 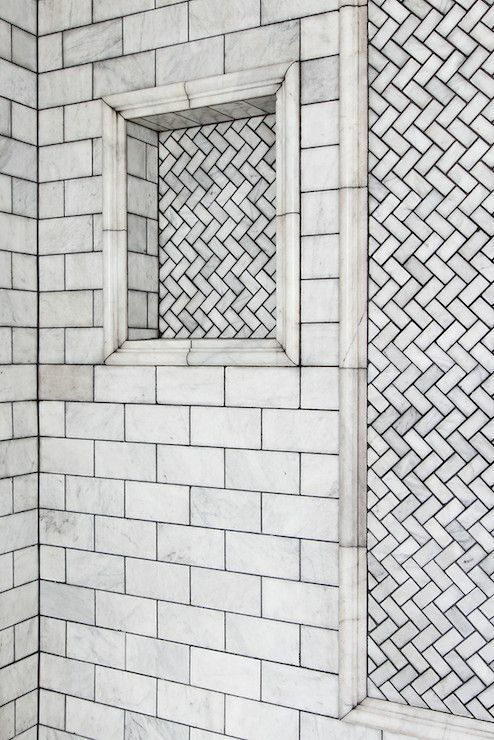 White, with black grout. I’m not a huge fan of the minimalist cabinetry in this design, but I do like the larger hexagon-shaped tiles used in the backsplash. 7. 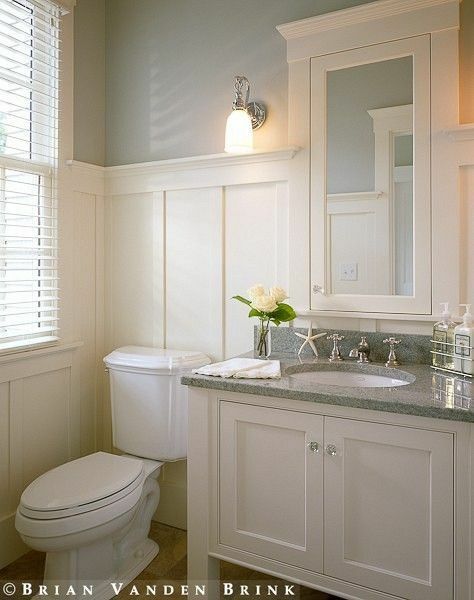 Light and bright bathroom. 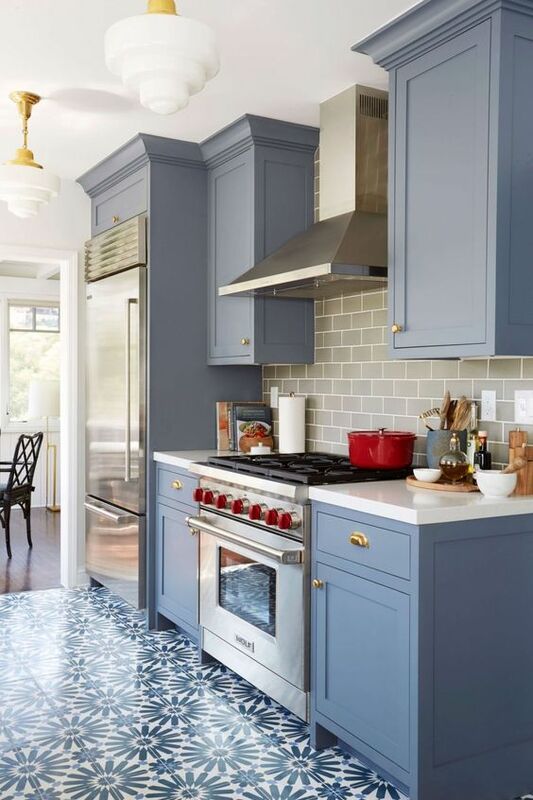 If you’re debating the use of white tile with black grout in your own home, or if you’re concerned it may show “too dark” and possibly dirty, think again. 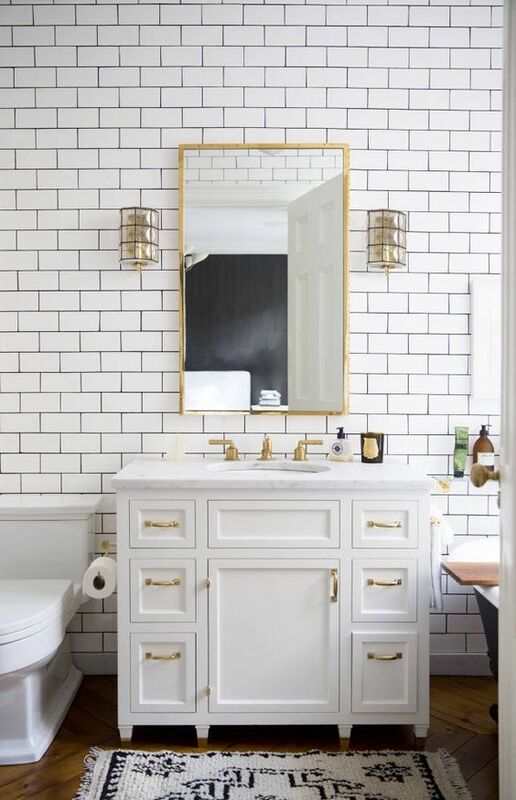 This light bathroom is a great example of white tile and black grout done right. 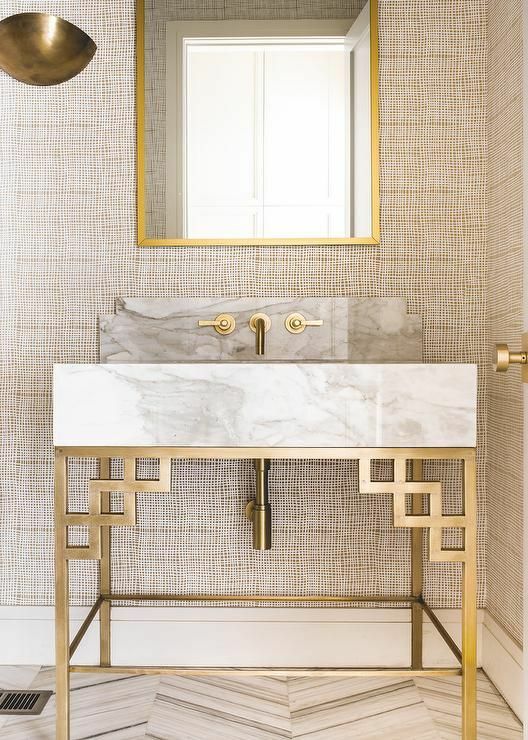 Featuring floor to ceiling subway tile and brass fixtures, this is a beautiful bathroom. 8. Farmhouse kitchen. 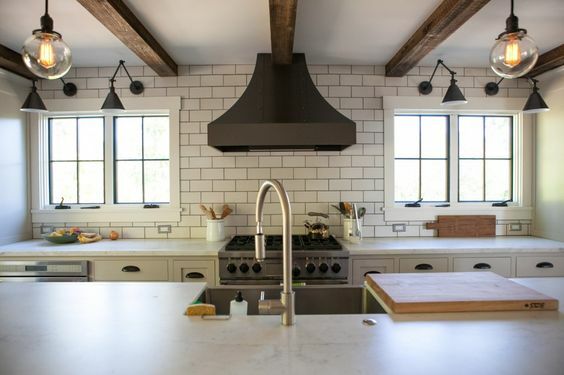 While I’m not a fan of the black range hood, in this farm house, the white tile with black grout is really highlighted by some of the darker features — including the black range hood, black lighting fixtures, and natural wood beams. 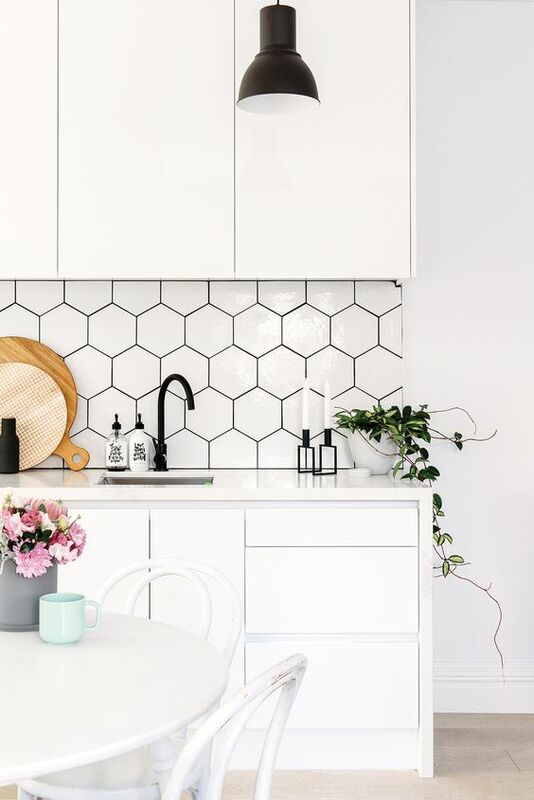 If you’re looking for more white tile with black grout inspiration, head over to my Pinterest for more great tile ideas for your kitchen and bathroom. 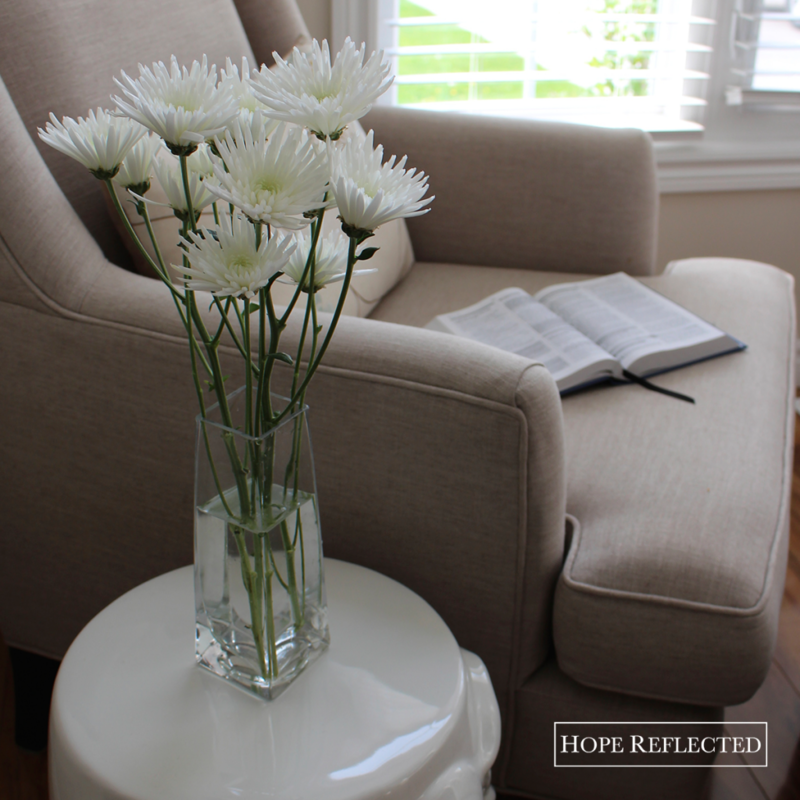 One of my favourite past times is curling up in a comfy chair with a hot cuppa and a good book. 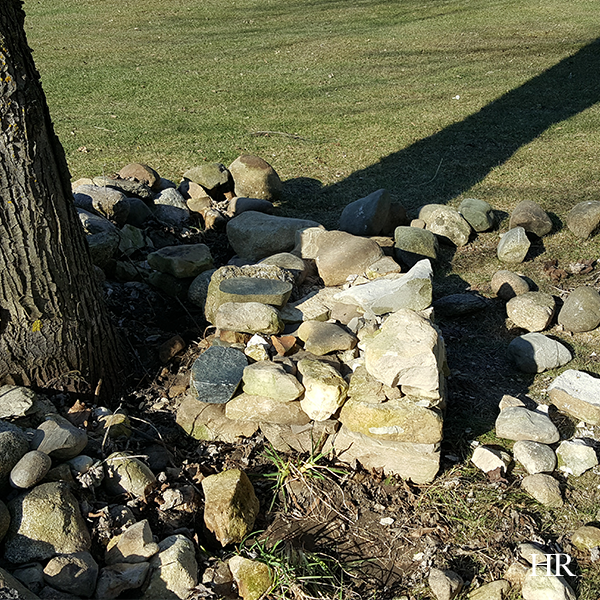 Since I’ve been married, one of my favourite parts of the day is when my husband Wes and I sit down to enjoy our breakfast, pray, and read our devotions. While some may engage in these activities at the kitchen table, we usually start our day in the living room, sitting in our wing chairs, breakfast on a tray, and our Schnauzer Dickens at our feet. 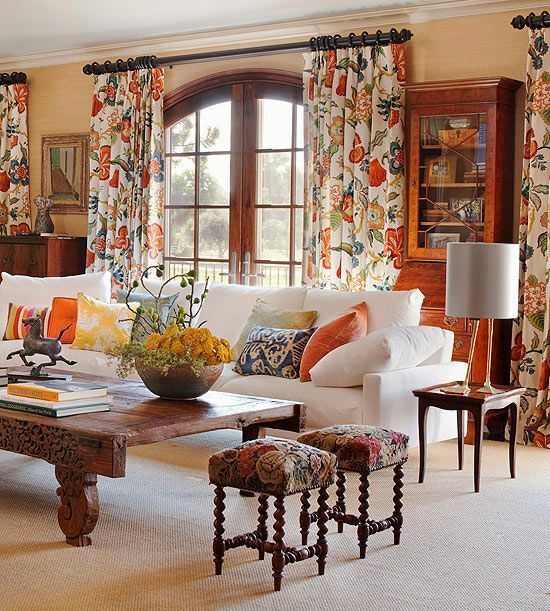 If you’re looking to invest in a wing chair (or two, or four) for your home, today I’ve carefully curated some fantastic wing chairs to share with you. 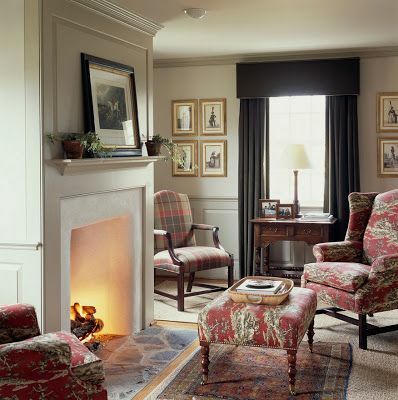 While most wing chairs are classic, these wingback chairs each have their own unique features that set them apart. 1. Home Furniture Wing Chair. You know every once in a while you make a purchase and it’s one you talk about for years to come? 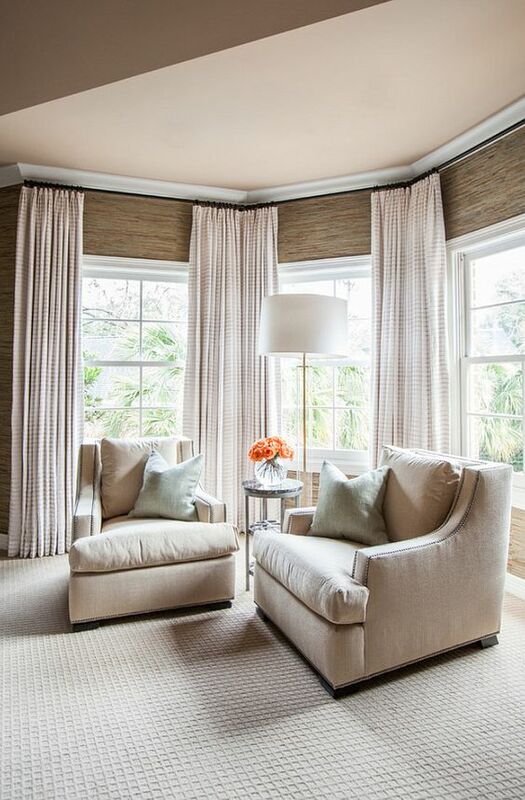 These custom upholstered wing chairs (and matching ottoman!) from Home Furniture were one of the best purchases I have ever made. I love these chairs. My Mum refers to them as chairs that are made for “tall men”. It’s fitting, since my husband stands over six feet tall. Made to order with two matching (or mis-matching, in our case) cushions, these are lifetime pieces that we’ll have in our home for years to come. Best part? They’re Canadian made! 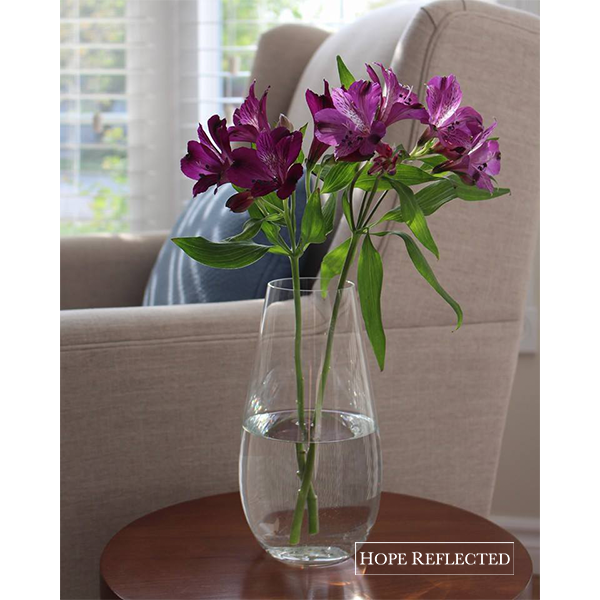 For purchasing details, visit Home Furniture. 2. 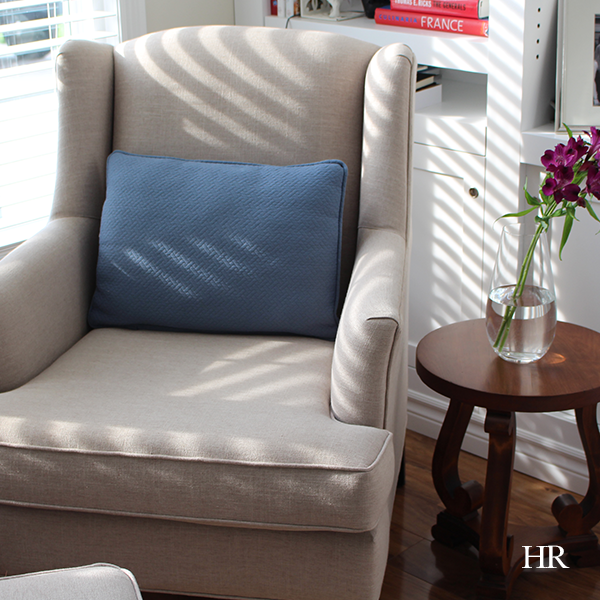 Restoration Hardware 19th Century English Wing Chair. Restoration Hardware is one of those status stores; when you own a piece of their furniture, it’s like instant-cool status. Take this 19th Century English wing chair for example. No, it wasn’t made in the 19th century, but it’s designed with memories of shape and style from that era. 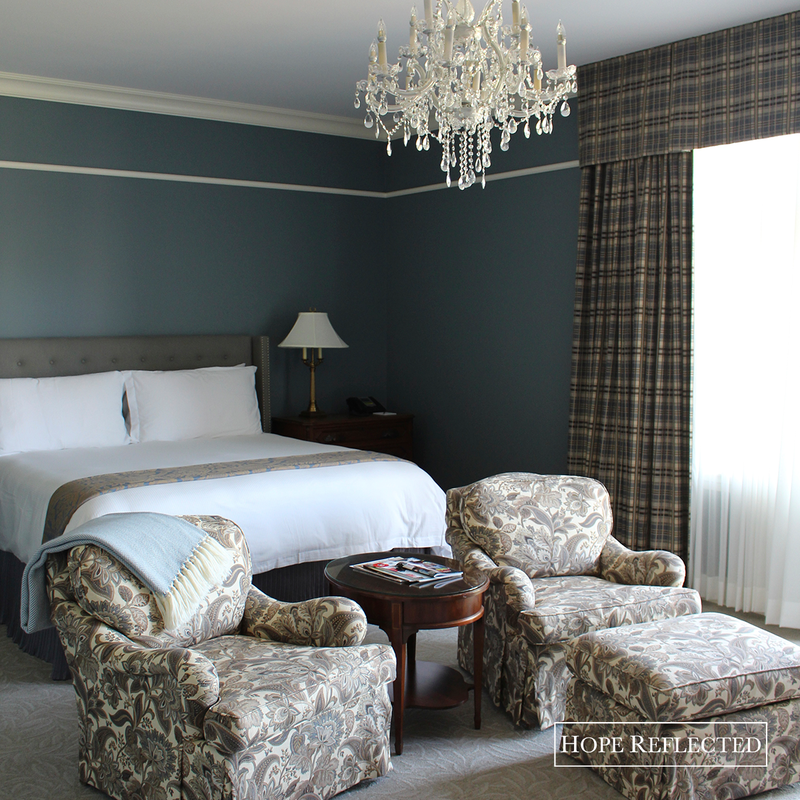 Beyond the classic shape, I love the tufted details and deep seat (again, a good tall man chair!). What I don’t love is the non-functional front wheels which add a hipster vibe. 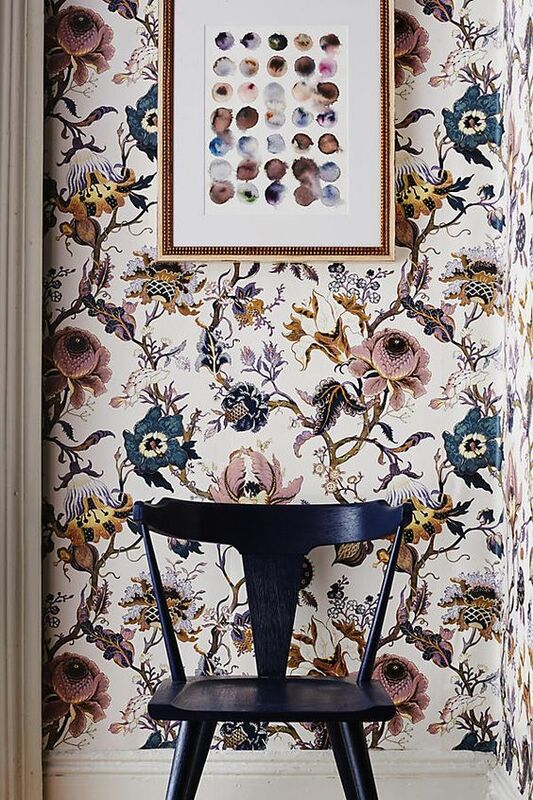 Also of interest is that you can custom-order this chair in almost any fabric swatch or colour of your choice, enabling you to infuse a bit of your personality into this piece. 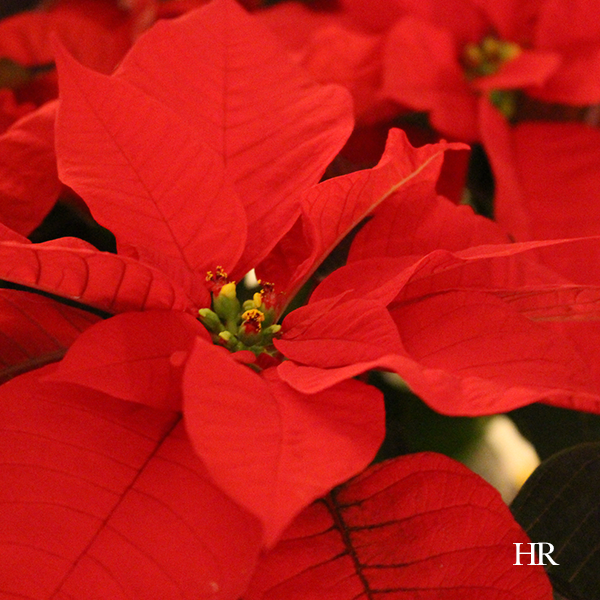 For purchasing details, visit Restoration Hardware. 3. 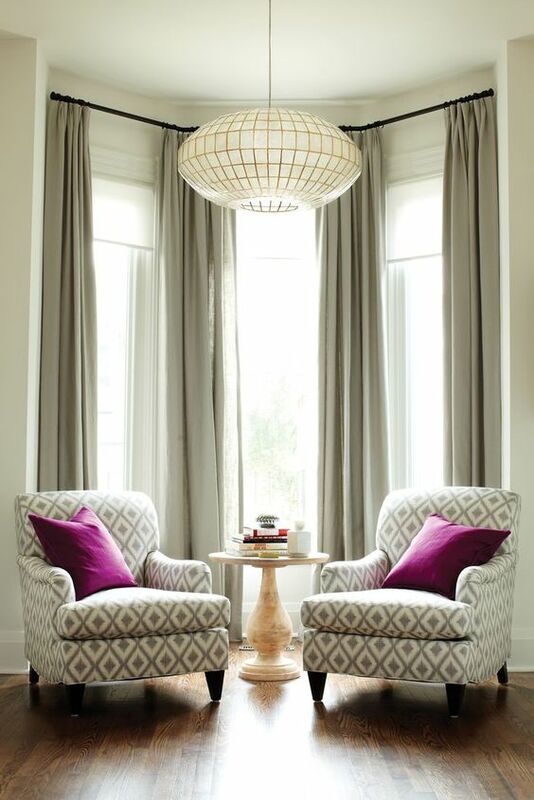 West Elm Niels Wing Chair Glider. There is something about Danish design that I do love. 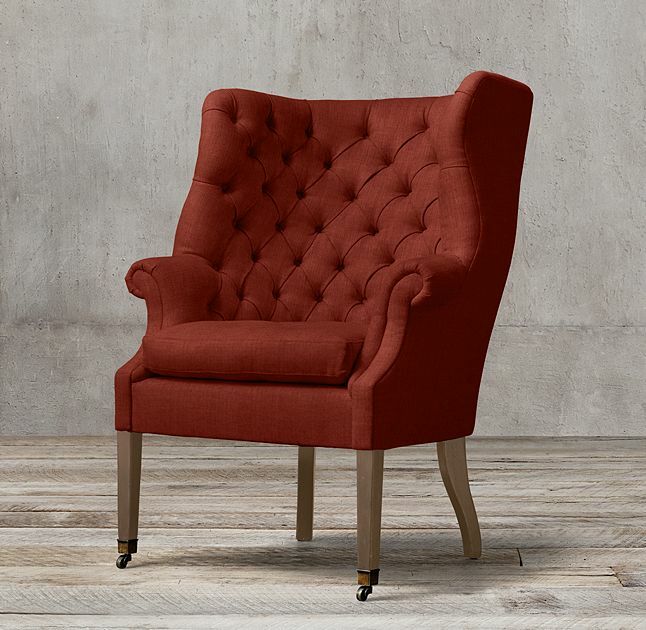 West Elm’s Niels wing chair is no exception. They’ve taken a traditional style and made it quintessentially Danish with curved lines and a smooth gliding system. Built on a solid wood frame, this glider would be ideal for a family room or nursery. It’s definitely not your grandma’s glider! For purchasing details, visit West Elm. 4. 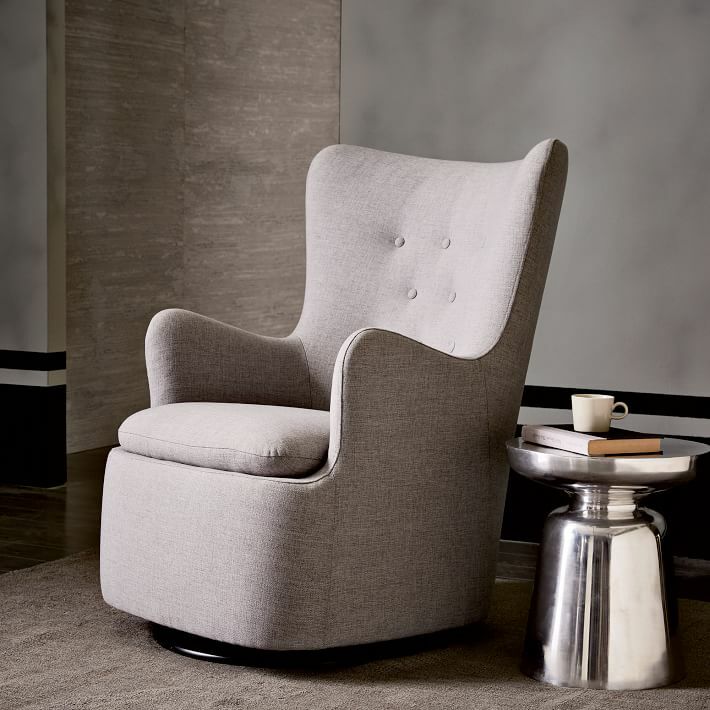 Sarah Richardson Robert Wing Chair. As I mentioned above, I love when furniture is made in Canada. There’s something about supporting our economy that’s really encouraging and also inspiring; it speaks volumes to see a Canadian designer who’s furniture line is actually made here in Canada. 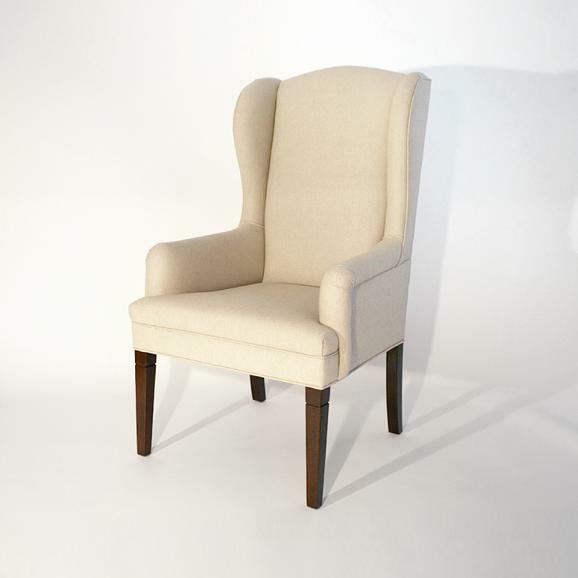 Sarah Richardson’s Robert wing chair is elegant, beautiful, and would be an ideal complement in a living room or dining room. 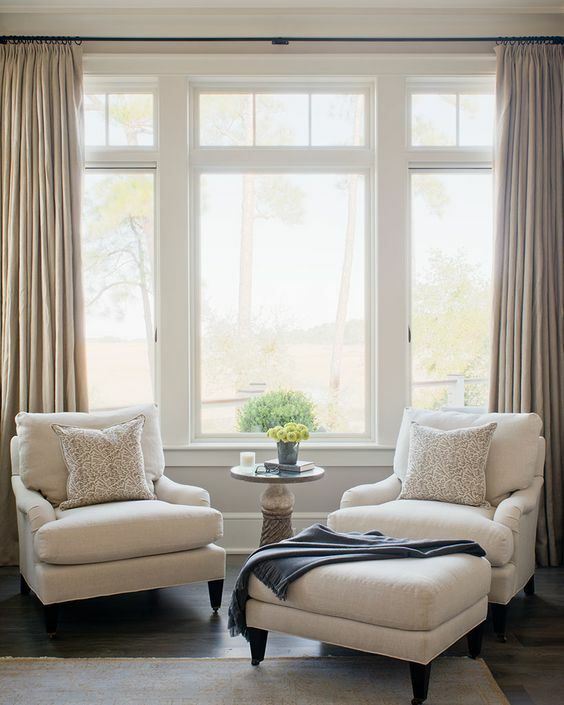 With details pulled from a traditional William Birch chair and a wing back, Sarah Richardson’s Robert wing chair is a piece of furniture that will never go out of style. For purchasing details, visit Sarah Richardson. 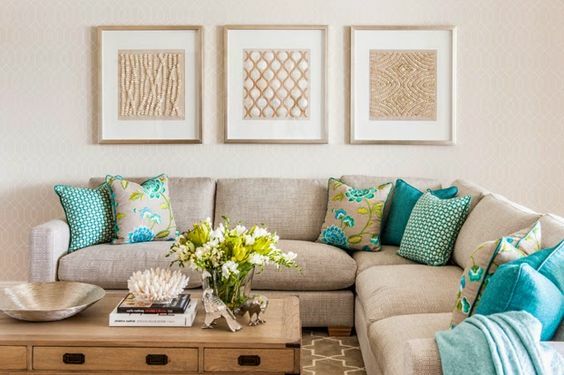 For more home decor and interior design inspiration, be sure to check out my Pinterest! One of the easiest ways to update the exterior of your home is by painting your front door. 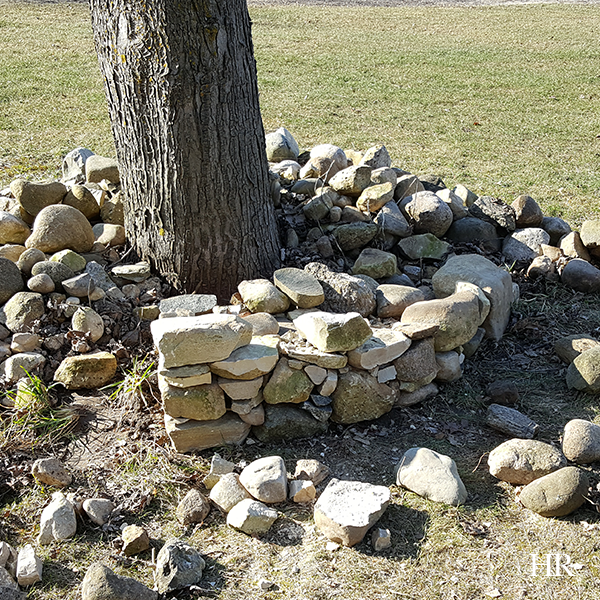 If you’re following me on Pinterest, you’ve been seeing some of the fantastic front door posts on my For the Home board. 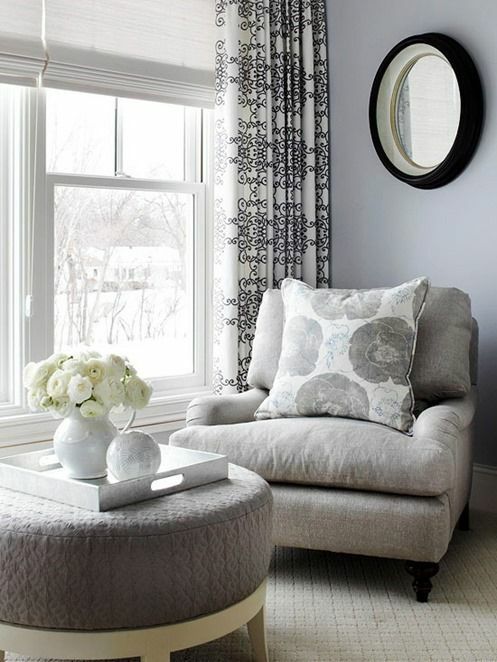 A couple of coats of paint can make a huge difference in the appearance of your home. 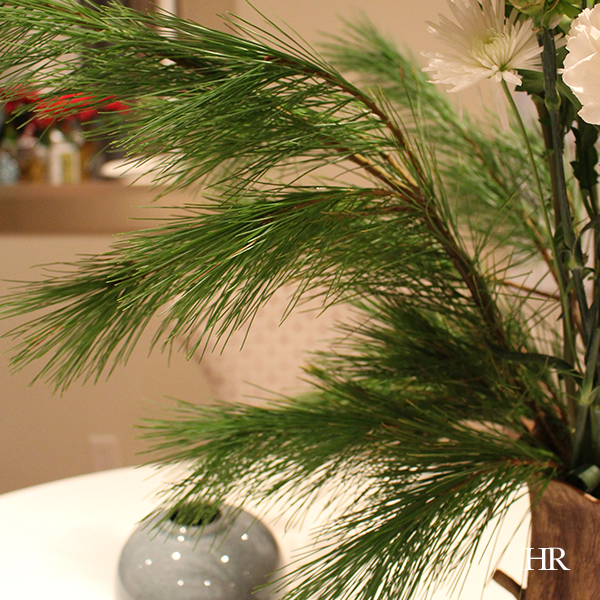 Add some fresh plants and door hardware, and you’re on your way to a whole new look! If you’re considering a front door makeover, you should keep in mind that different paint colours work best with different door styles and home styles. For example, while a bubblegum pink front door would look out of place on a traditional home, it would be well-suited to an all-white beach cottage. 1. Grey Green Front Door. 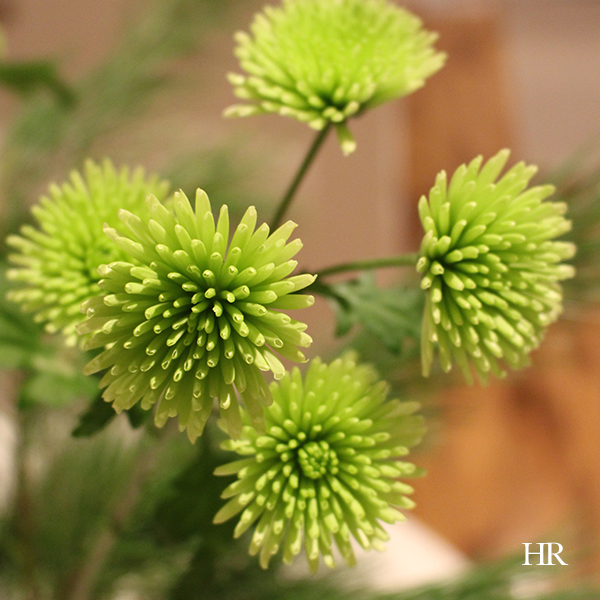 There’s something so soothing about a soft grey green. On a front door, grey green is a classic colour. 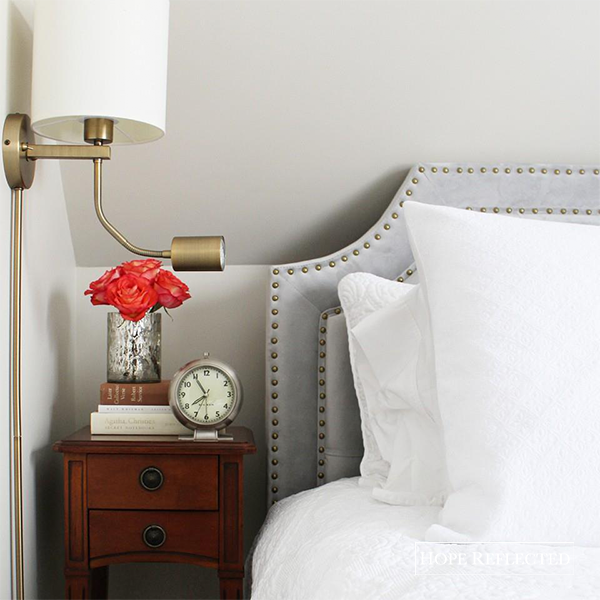 The key with this hue is to keep it light. Any darker and this door would look like something out of the late eighties/early nineties. 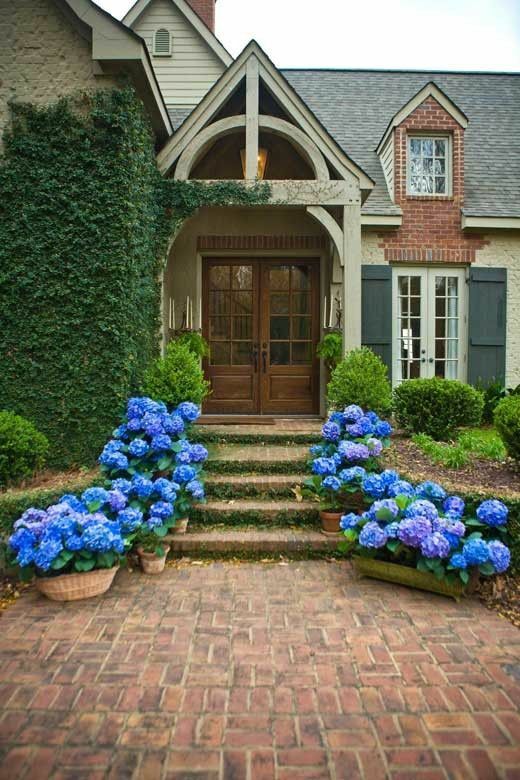 Some brass hardware and a stand-out door knocker make this a lovely entrance. Interesting to note: The door handle on this door is in the centre of the door. 3. Navy front door with white side lights. 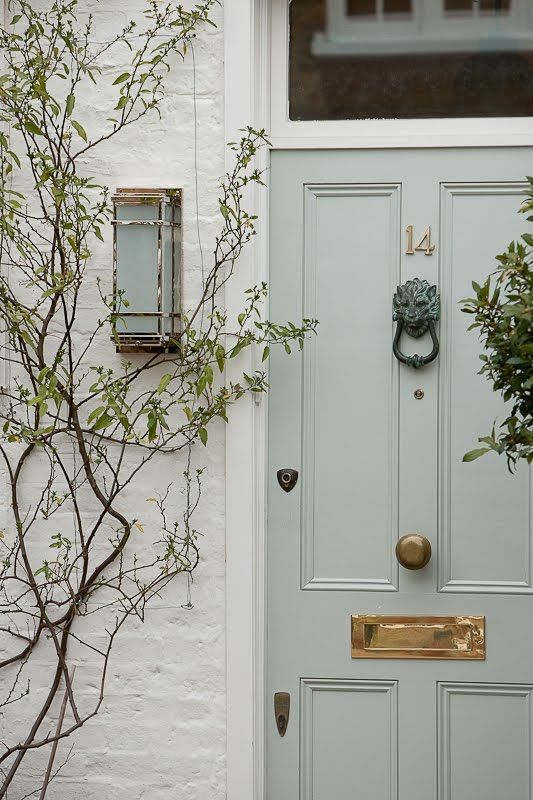 You saw in the example above the look of a navy blue front door with painted sidelights to match, and here is an example of a navy front door with the sidelights left white. 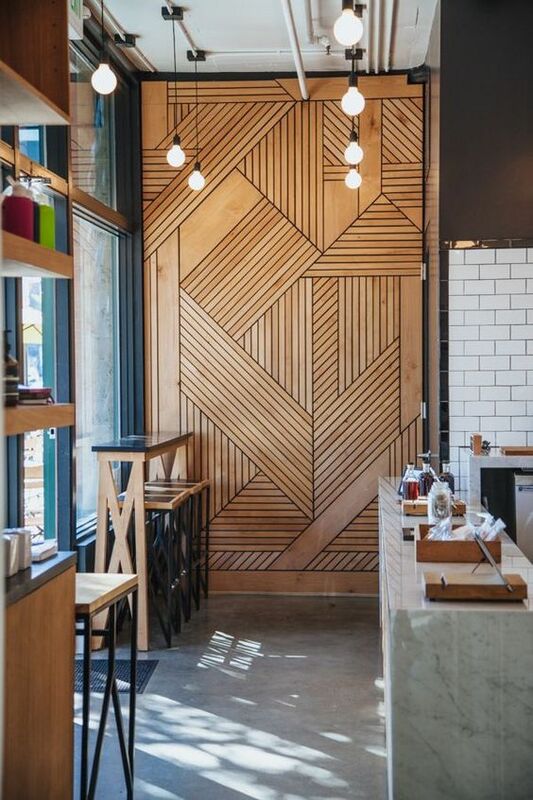 While the style of door is different, you get the picture. The home owner paid special attention to detail and added a brass sweep and sill. 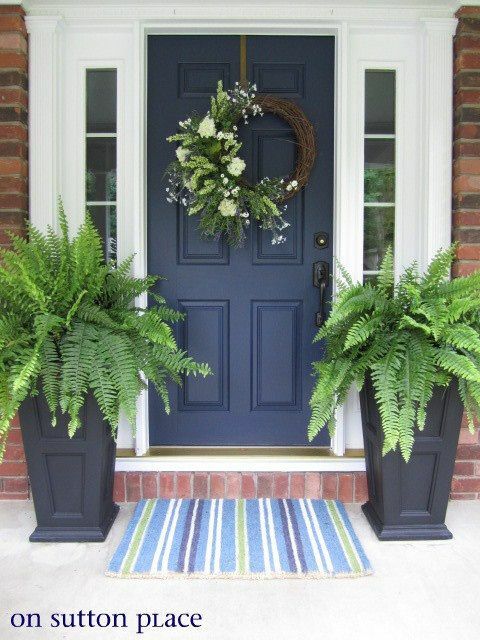 I also love how well ferns and other green plants work with a blue front door! Very fresh. 4. Solid wood front door. There’s something very traditional about a solid wood front door. Finished in a classic stain, a wooden front door is timeless. While some may think wood is boring, I beg to differ! 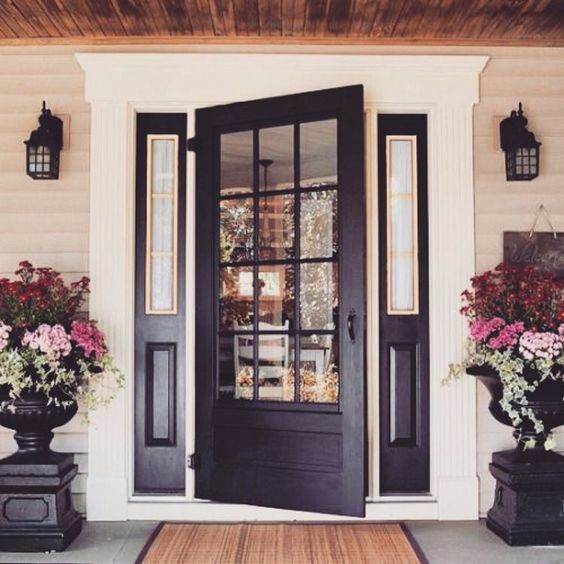 A solid wood front door is incredibly interesting, especially when highlighted with some bright florals to make the look pop. If you’re looking for a door that’s less maintenance than solid wood but provides a similar look, there are some great alternatives out there. 5. Black front door. Some say black looks too ominous, others say if it’s not painted in just the right hue that a black door looks like a black hole. 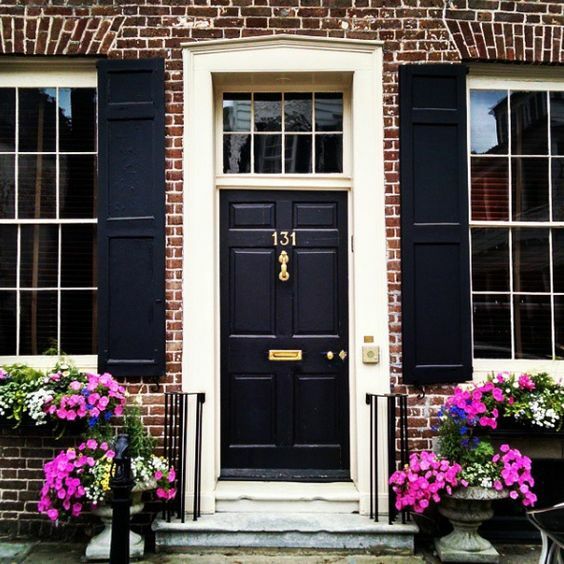 I think that a black front door is very appealing, especially on a brick home that’s traditionally built. Case in point? 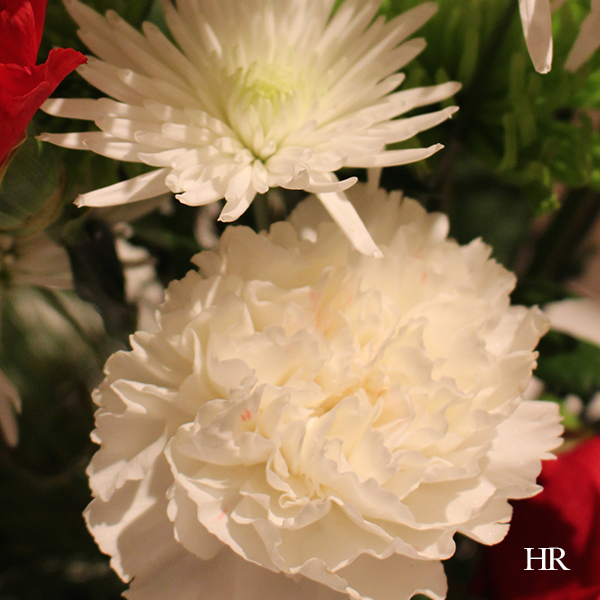 Check out the photo above. 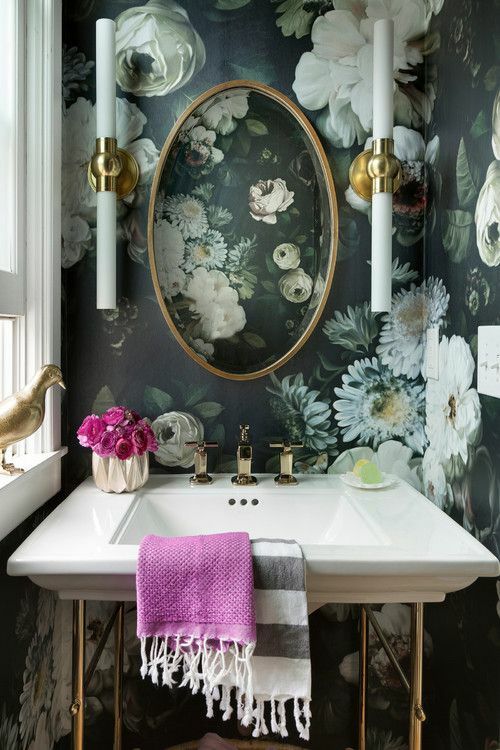 Classic black, with brass accents, and side urns with florals do the colour talking. 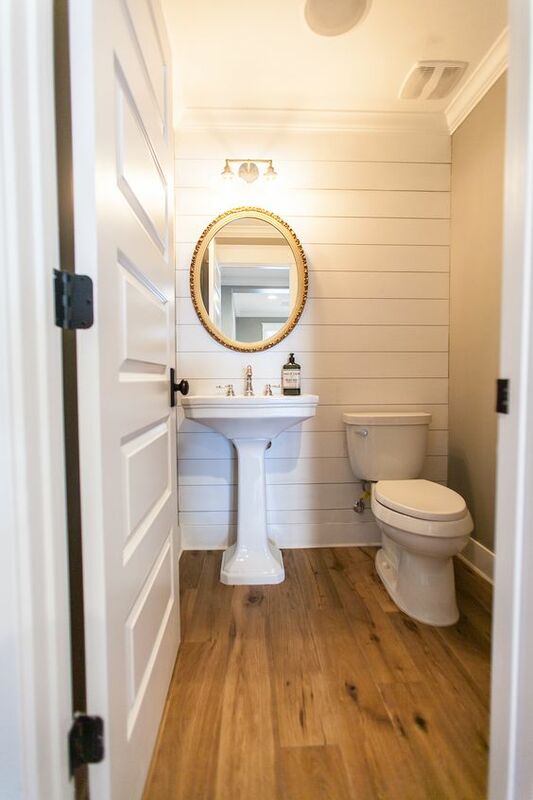 I especially love how the home owners left the transom a neutral off-white. This really makes the door pop! 6. Deep green front door. 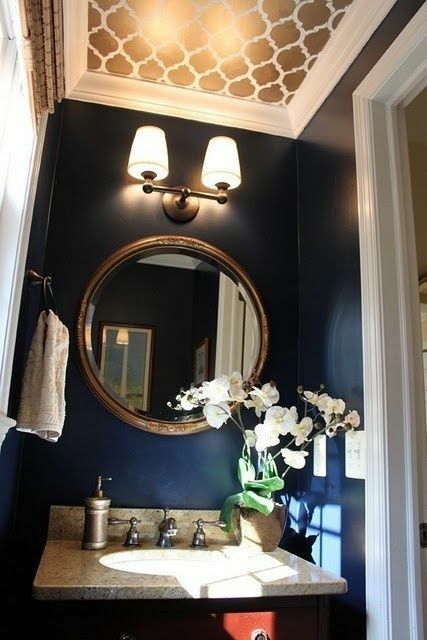 Looking very French countryside, this dark deep green works well on a home that’s otherwise mostly neutral. Complemented on either side by two wooden plantars with boxwoods, I love how this door is so simple and void of any decoration, but still so appealing. 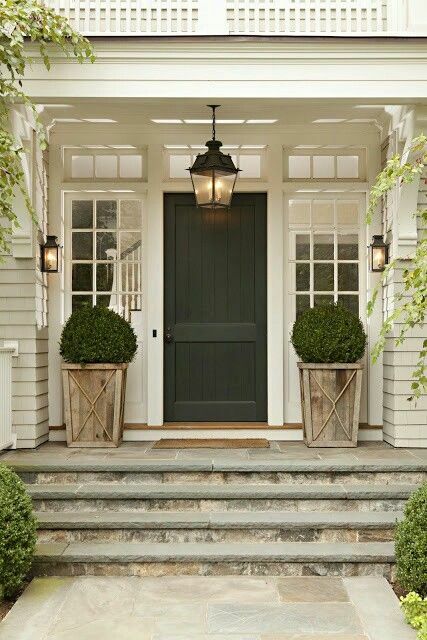 The stone work on the steps and patio, the lovely hanging lattern, and the white window sidelights on either side make this deep green front door one for serious consideration. 7. Red front door. 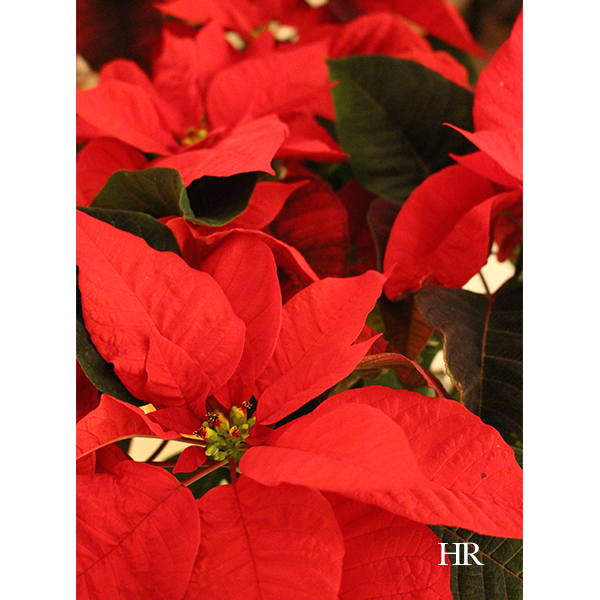 There’s something so captivating about the colour red. Always a classic, a red front door really stands out when set against a neutral brick, stone, or siding. 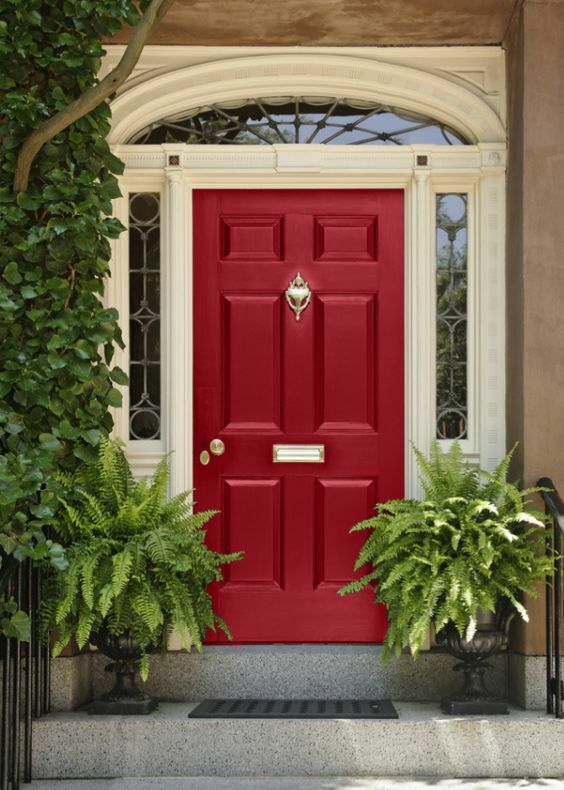 Many people believe that front doors should be bright and vibrant accents that stand out, and a painted red front door certainly does just that! With brass accents and more traditional sidelights and an eyebrow transom, this front door is nothing short of fantastic. 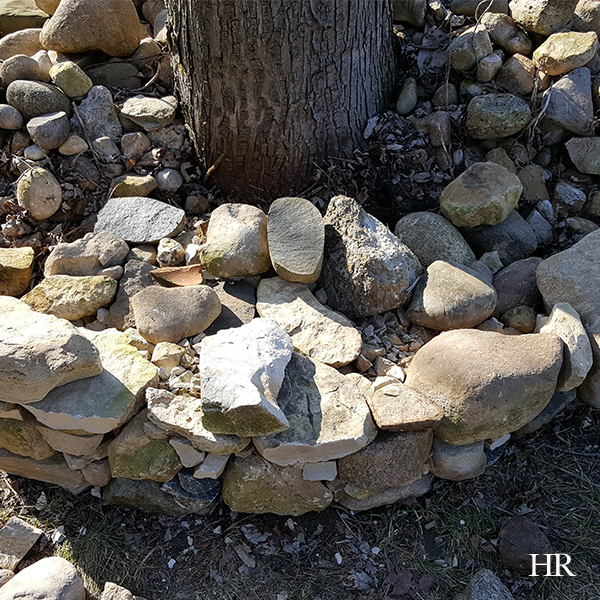 For more home design inspiration, be sure to follow me on Pinterest!